We have a Sunshine Week winner! A Washington state woman who used the courts to force the disclosure of public records that revealed corruption in her county auditor’s office is the winner of the 2011 American Society of News Editors Local Heroes contest. Gloria Howell of Stevenson, Wash., is one of three citizens recognized by ASNE in its national contest honoring individuals who fought tirelessly last year to make their state or local public institutions more open and accessible. The announcement of the Local Heroes kicks off Sunshine Week, which began yesterday. Howell will accept her award at the ASNE Convention, April 6-9, at the San Diego Marriott Hotel & Marina. Howell, a former Stevenson school board member, got involved after her daughter, Angela Moser, was allegedly fired from the Skamania County auditor’s office for theft and because of her concerns about irregularities in ballot processing and alleged misuse of public funds. Howell filed suit to obtain the records. The suit resulted in a criminal investigation by the Skamania County Sheriff’s Office, a criminal referral to the Washington State Attorney General, an investigation and report by the Washington State Auditor, and the resignation of Skamania County Auditor Michael J. Garvison. Back to Utah’s (or Utahkistan, as one wag called it today), here is a nice page that keeps track of everything related to HB477. And SPJ handed out its first-ever Black Hole Award to….Utah Gov. Gary Herbert for plunging their state into an abyss of secrecy through the most regressive piece of freedom of information legislation in recent history. In Maryland, someone FINALLY has begun paying attention to the dreadful HB37, currently in the Maryland State Senate and awaiting a final vote, which seeks to limit the ability to procure records in the public domain with expensive fees, redaction of vital metadata and access determined by third-party custodians acting in the interest of government. Cleveland City Hall is notorious among Plain Dealer reporters and others in town for its slow response to records requests, so for Sunshine Week, we decided to use the records law to measure just how slow Cleveland is. On Feb. 2, we asked City Hall for records that track public-records requests. We’re still trying to get all the information. Illinois lawmakers are celebrating Sunshine Week by trying to limit the number of requests citizens can make, in the latest state attempt to punish “vexatious” users. And finally, the Senate Judiciary Committee held a hearing on the effectiveness of FOIA today with some of the FOI movement’s best and brightest testifying. More than 1,500 Freedom of Information requests were filed with town and village clerks in a dozen Monroe County towns in 2010. Requests ranged from only 10 in East Rochester, to 550 in Greece, and together they tell a tale of what residents, businesses and law firms are want to know about local municipalities. Sunshine Week, a national celebration of open government and freedom of information, runs from March 13 to 19. To take a look at open government access and involvement locally, Messenger Post reporters tested access to local FOIL records. Each town and village received requests for access to a log or file of the FOIL requests from the year. Five of the local government municipalities kept a log, and the remaining towns and villages invited reporters to go through the files, looking for who is requesting what in each area. E-mails, memos, calendar items, police reports, building permits, meeting agendas and minutes, among other items were included. Reporters filed Freedom of Information requests asking for two years’ worth of records about legal settlements, as well as reports sent to other agencies, such as the Wisconsin Department of Health and Human Services. Reporters also asked for records for the current school year about medications or treatments administered to students on a group or individual basis. On his first day in office in January 2009, President Barack Obama issued a presidential memorandum instructing federal agencies to “usher in a new era of open government.” In March 2010, however, the 2010 Knight Open Government Survey found that only 13 out of 90 agencies had actually made concrete changes in their FOIA procedures. The resulting national headlines sparked a new White House call to all agencies to show concrete change. It’s worth noting that no entity in the United States has done more to assist the FOI movement than the Knight Foundation. During this Sunshine Week, they deserve our thanks, and our praise. I shudder to think where we’d be without their support. The full release, which will take you to the really interesting full survey, is here. And below is the chart summarizing the findings. A Few Tidbits of Openness On a Sunday…. A review by the Cape Cod Times shows compliance with the Massachusetts Public Records Law varies from town to town and, in some cases, from department to department within a town hall. And don’t get through the day without reading this fabulous column in the Times on how data — and access to it — can improve all of our lives! This is SUCH an important point. When people want to hide data, we need to remind them every time that they are squelching the innovation that made our country great. And we should remind people, over and over, that this data is OURS. 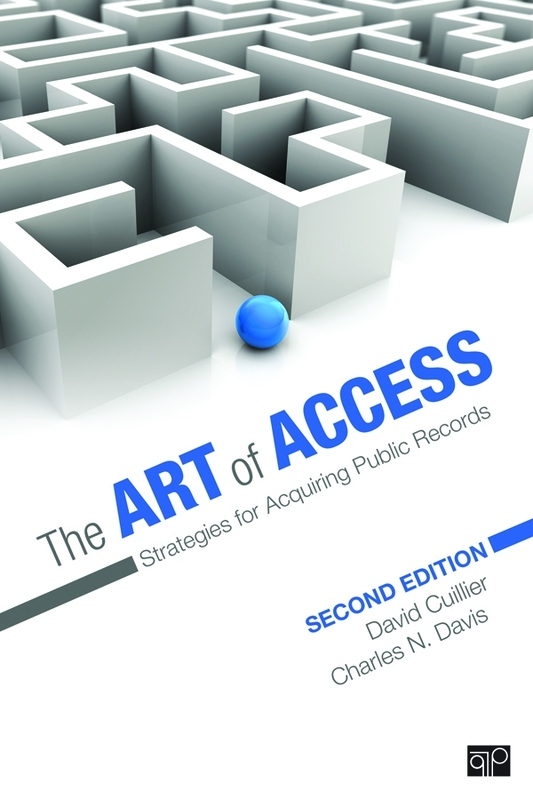 National experts in public records law say the disparity in access is common. The Times sent four reporters, posing as average citizens, to eight Cape towns on March 3, to see how they would be treated in their pursuit of public documents. They requested one day of the police log, a list of delinquent personal property taxpayers, the school superintendent’s contract and one month’s worth of correspondence — both letters and e-mails — sent to selectmen and town councilors. And don’t miss this great piece in the Times today on the unpredictable uses of government data in the private sector. The point made here is well worth repeating to the lords of darkness: access can lead to new discoveries, new applications, better technology! The survey did find signs of progress in a number of states, especially in technological efforts to make much more information available online. But there also are restrictions being put in place for recent electronic trends, such as limits on access to officials’ text messages. The AP analysis was done in conjunction with this year’s Sunshine Week, an annual initiative begun in 2002 to promote greater transparency in government. To observe Sunshine Week, which runs today through March 20, AP journalists in all 50 statehouses reported on both recent improvements and the obstacles that still exist in many places. First, the positive: In Alabama, where Republicans won control of the Legislature for the first time in 136 years, lawmakers can no longer bring up budget votes without warning. And Budget Committee meetings are now streamed live online. In the past, legislative leaders typically wrote state budgets in private. “The public and the press can know where the dollars are being spent and why they are being spent,” Republican House Budget Chairman Jay Love said of the new practices.